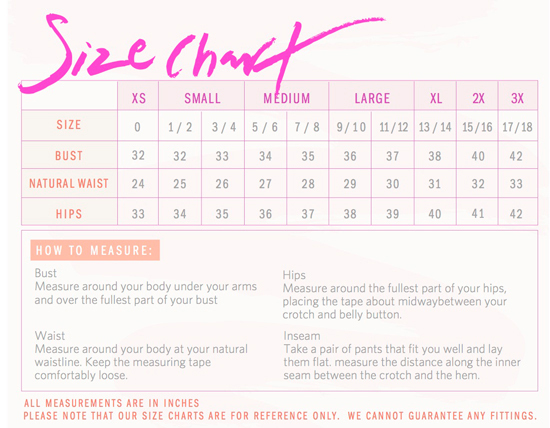 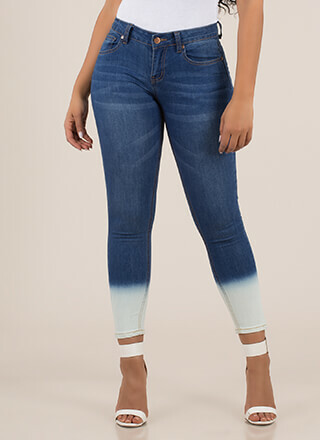 What makes a pair of pants? 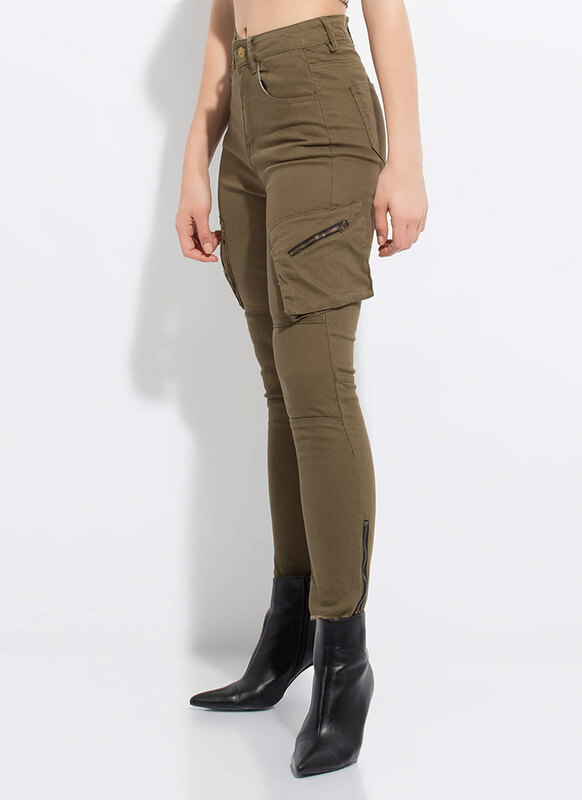 The zippers and pockets of course! 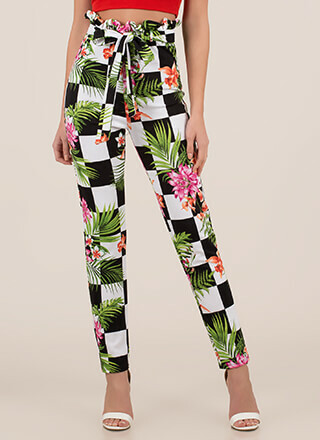 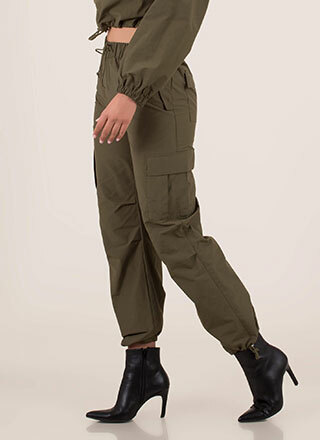 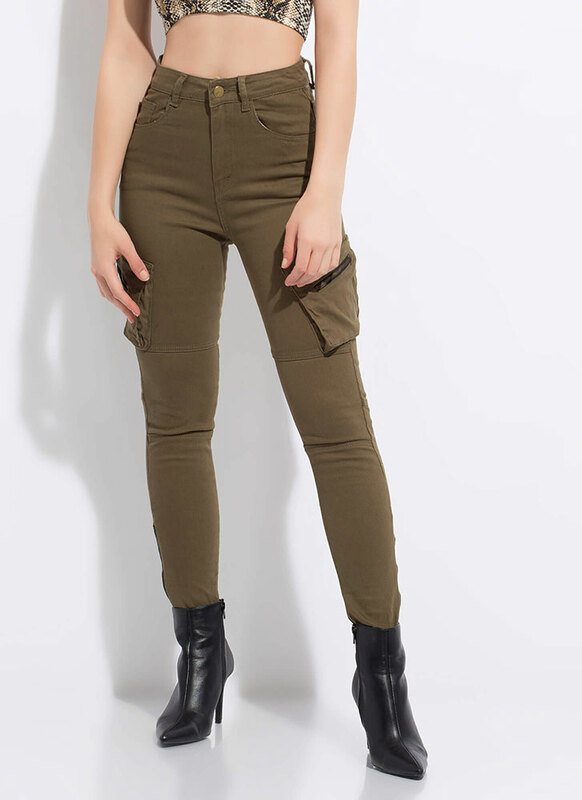 Semi-stretchy, high-waisted, denim skinny pants feature cut-off ankles with exposed zippers on the sides, as well as attached cargo-like pockets on the thighs with the same zipper accenting. 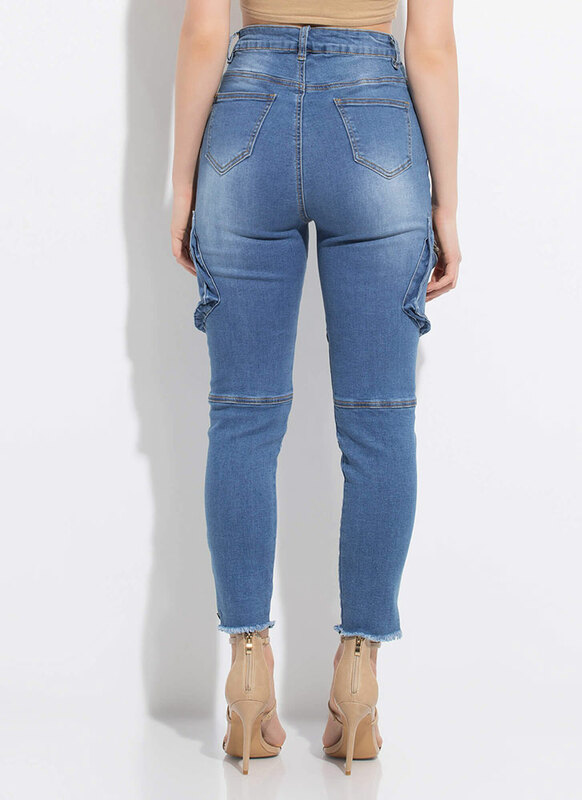 Jeans are finished with a classic five-pocket design and a buttoned zip-fly.